I've been sitting on this recipe for a good nine months now. Why? I have no idea. I made them, photographed them, did out the nutritional information and then...nothing. I was looking through my draft folder and there it was. I decided to make them again and take new pictures. So, finally, here it is. A note about these burgers: they are...tricky. 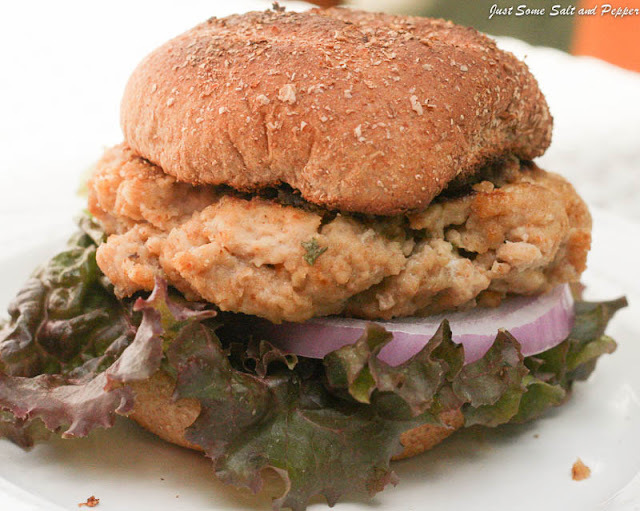 Chicken burgers have a tendency to dry out because there is not a lot of fat in them. 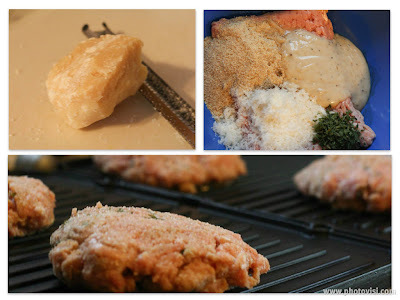 These definitely do not because they are kept moist by the dressing and Worcestershire sauce (side note: I love what Worcestershire sauce does to meat). That being said, these burgers are pretty sticky and don't hold together as well as a traditional burger. I ended up making them on my contact grill. I originally started them off on my regular indoor grill (another side note: I am terrified of the gas grill and I am convinced that if I use it, it will blow up), then ended up converting it to the contact grill midway through because they were too difficult to flip. Don't let that scare you off, though. They are quite tasty. To serve, I like to put an extra dollop of dressing on the burger and also pile on lettuce, red onion and an extra sprinkling of Parmesan. Delicious. 1. Combine all ingredients in a bowl and mix until incorporated. Form the mixture into 4 patties and grill until a thermometer stuck into the center of one burger reads at least 165 degrees F. The thermometer should be stuck in through the side of the burger, not through the top. 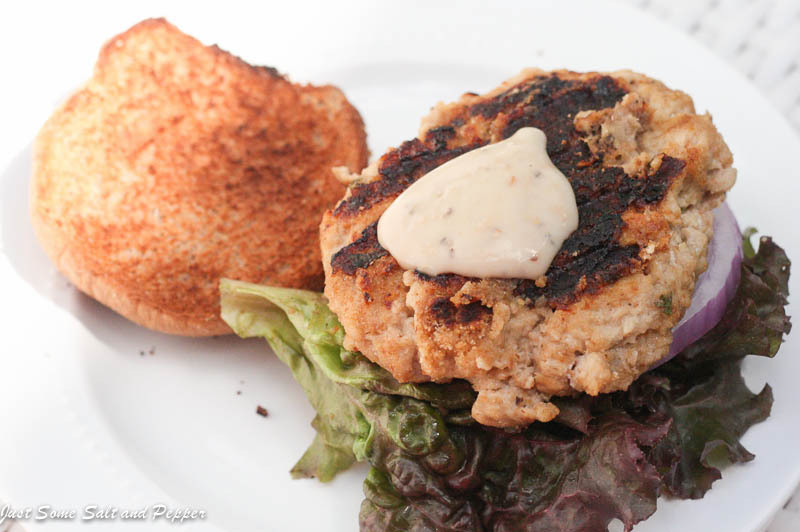 Great idea- I love chicken Caesar salads and I know I would love this burger too! 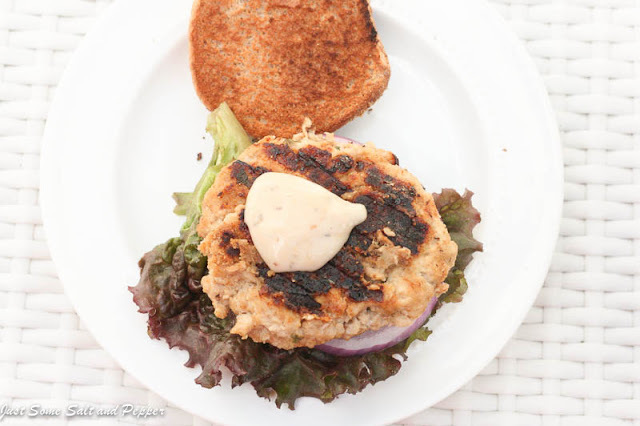 I love the idea of infusing caesar flavors into a burger!! Such a fun twist. What a great idea. Never though of this before but I am sure is quite yummy!! Love the idea of this! I'll bet these have super flavor. Definitely something I should try - thanks so much! Do you use ground chicken breast, or regular ground chicken? Thank you for what looks like a yummy dinner idea. I will definitely try!